— As I mentioned in the introduction to the series, the director Masayuki Yoshihara himself storyboarded the first episode of this sequel. However, every single episode after that was credited to the cryptic Team P.A entity. 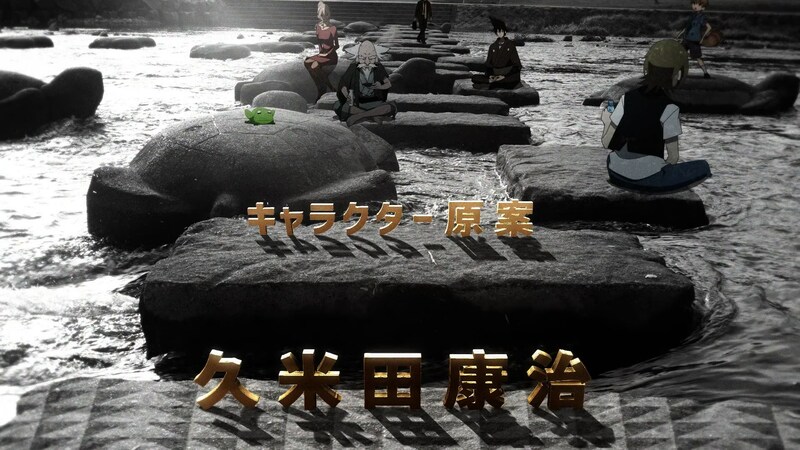 Yoshihara must be part of that unit as we’ve seen him draw further storyboards, but the other members have remained a mystery even within the Japanese fandom. It might have simply contained other trustworthy directors at the studio like Heo Jong and Fumihiko Suganuma, but the name they chose makes it sound like it was more of a collective, training-oriented production. This series means a lot for the company, and since it’s a work all about family, turning it into a collective effort would be very fitting. Romanticizing anime production too much is dangerous even when it comes to a relatively healthy case like this though, so I’d rather not speculate too much. I’m quite curious about exactly what happened with the storyboards! — Authorship of the storyboards aside, I have to say that they once again conduced to plenty of striking layouts, all while still paying attention to the behavior quirks that do so much work to humanize (tanukize?) the cast. Sadly, the latter trended down in the second half of the series in particular; production strain became more and more apparent, and it felt as if the show itself held back to some degree. 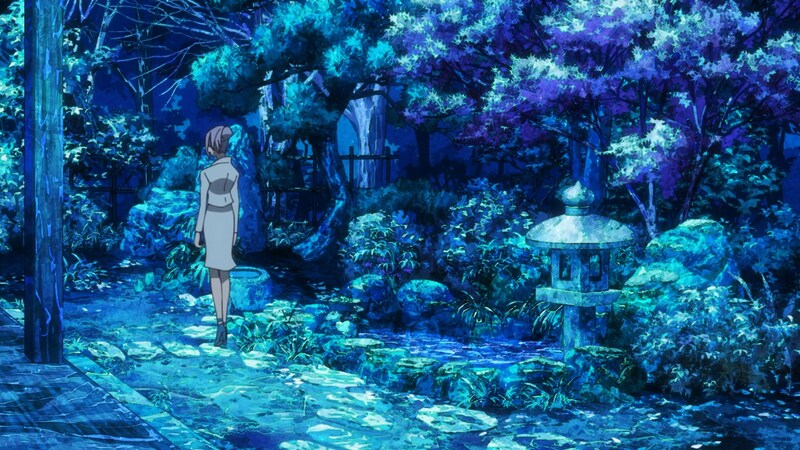 A lesser Eccentric Family is still well above average though, and even when having to limit itself to more modest production standards it can still pull off amazing things through its groundwork alone – just look at how inner conflicts were hinted at simply via interior design. — And if we’re talking about the design work, there’s a clear highlight: Kyoto. Once again the setting isn’t so much window dressing as it is an integral part of the series. It’s no wonder that the city itself has kept on partnering with the series after such a respectful yet whimsical depiction of it. The formula behind its art direction is a work of simple genius – they’ve kept on taking real photographs as the basis to craft the backgrounds, leading to an immediately recognizable world that is real and yet not restrained by realism. It’s not only a beautiful scenery that makes you understand Yasaburo’s quest for enjoyment, it also perfectly encapsulates its magical realism spirit. The opening sequence, composed of reused animation layered over actual footage of the city, toys with similar concepts too. This is obviously not an unheard of approach, but there are barely any examples that feel as fitting and well executed as this. Exploring this world is always a joy. — Unfortunately, this sequel offers less discovery in general. Yasaburo’s trip to an industrial soviet-inspired hell was one of the highlights of the series, but it’s otherwise made us revisit places we’re acquainted with, or ones that are so similar in design that they might as well be. This comes down to the intentional (but questionable) decision to base the sequel on repetition. Much of the grand conflict is iterative, and even the structure is very much the same. It’s an interesting idea, but I feel like it didn’t quite pay off. While we’re always finding out fascinating details about their world, the retread made it a less satisfying journey, even thematically so. Since the way everything came together at the end felt less elegant and the show overall didn’t seem as well constructed, these issues might stem from the original series composer Shotaro Suga being replaced by Ryo Higaki. I’m not confident enough in that possibility to blame him, but perhaps it’s the execution that is flawed rather than the idea behind it. — Returning to the same formula means that once again we were presented with many threads that came together at the end in a spectacular way. 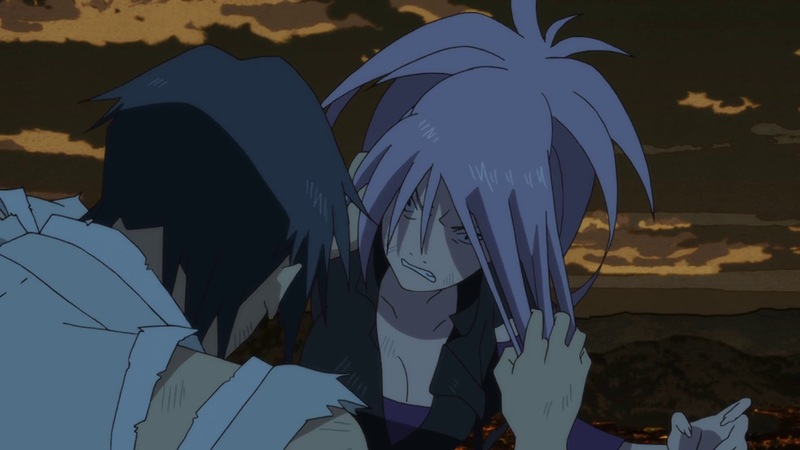 There was some thrilling material leading up to the grand fight between Nidaime and Benten, which devolved into the nasty, pathetic squabble between childish superhumans it always was. I have to say though, I don’t think anything quite compared to episode 12 of the first season with Yajiro’s crazy train ride. The reason is obvious: Toshiyuki Inoue, the Charisma Animator himself, couldn’t come to Yoshihara’s aid this time. His link with P.A. 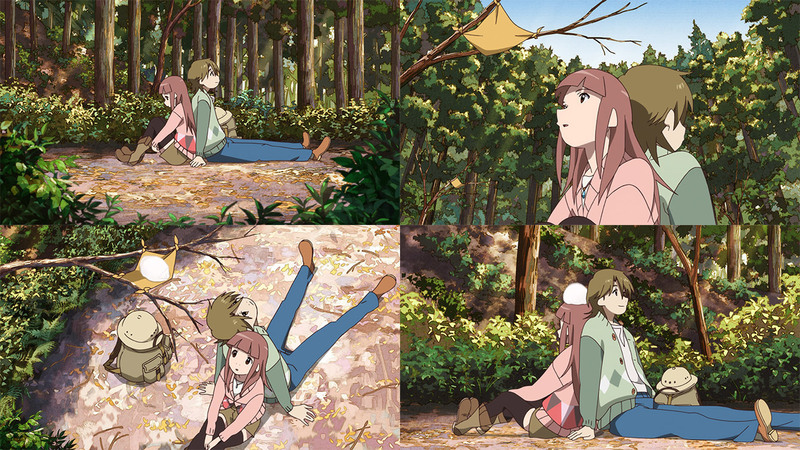 Works can be traced back to the Production I.G collaborations over a decade ago, so he still helps them out now and then – usually for isolated scenes, but when it came to Eccentric Family his work was rather extensive. He animated 155 cuts on that episode, virtually half of it, and the results spoke for themselves. 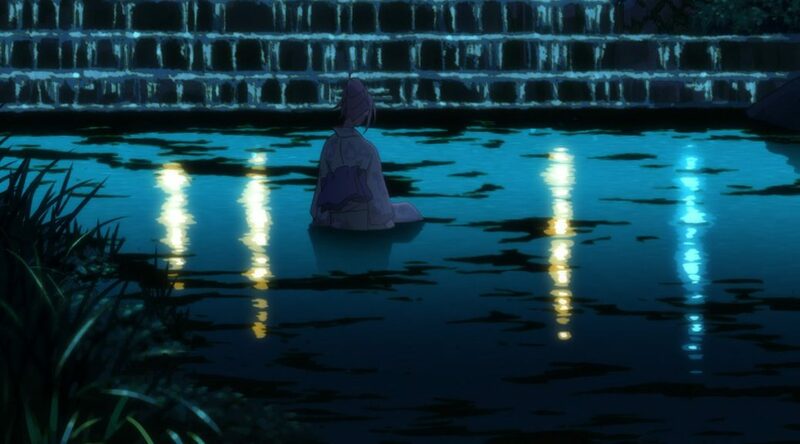 Not being able to live up to the work of one of the best animators of all time is hardly a sin, but that’s how high of a bar Eccentric Family set for itself. And spectacular highlights aside, the show’s animation was perfectly functional. A bit more limited like the production as a whole, but this was never its game to begin with. 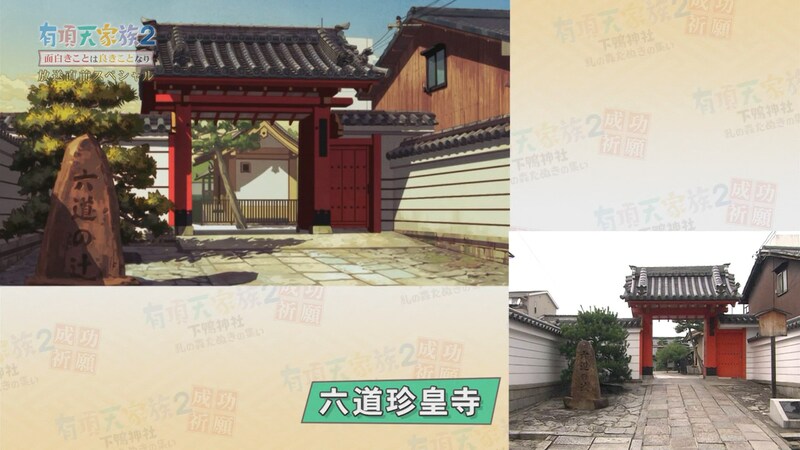 The crowd scenes that brought Kyoto to life became scarcer, and as mentioned earlier the layouts aren’t as ambitious overall, but plenty of goodness remains. 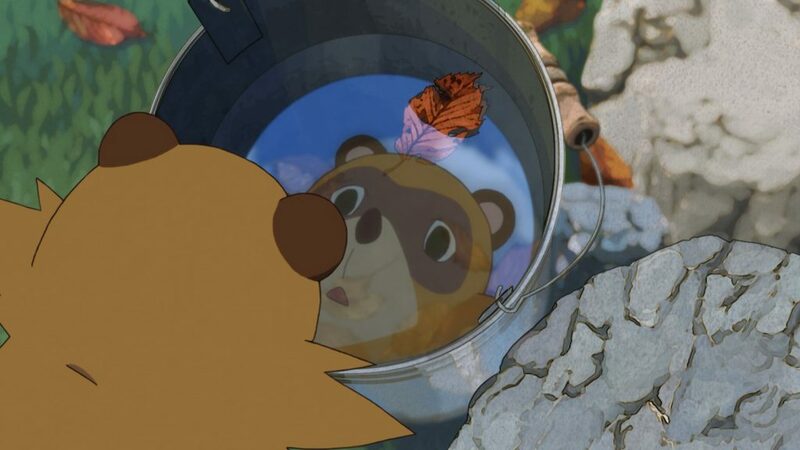 — I’ve been characterizing this season as Eccentric Family But Worse, and as much as I believe that’s the case, it would be unfair to imply it presented no improvements. It’s encouraging to see that it represents an evolution within P.A. Works; this is their first TV series without any fully outsourced episodes, whereas the original had to subcontract three of them. Obviously there are caveats to this: the animation of episode 4 was essentially untouched by P.A. Works staff, and the studio still doesn’t even have many of the necessary departments to make anime. In spite of that, the series is worlds apart from its current P.A. Works peer Sakura Quest, which sports regular fully outsourced episodes and is mostly created by freelance artists. For now Eccentric Family is the exception within the company, but perhaps it represents a brighter future. It already was the one case where the studio was the major financing force in the committee, so I love to see it once again mark a step forward for them. — As a final note, there’s something else that I consider to have improved: the familial bonds. Hardly a small detail, considering how important those are for this series! Having freed themselves from the internal disputes solved in the first season, the Shimogamo family felt more comfortable amongst themselves, and that filled the series with joyous moments. The natural integration of Gyokuran into the family only made things even better, especially since her interactions allowed us to see a side of Yasaburo that no other character had unveiled before. Wrapping up the season with him giving in and accepting that he wants to be with Kaisei was the sweetest cherry on top. I’d say that it was a smartly constructed scene because the layouts constantly highlight how they still can’t face each other, but sadly I couldn’t notice that since it was so cute it killed me. I know I’ve stressed out the downgrade between seasons, but I walked away with no disappointment whatsoever. I’ll be over here waiting for Morimi to conclude the trilogy so that we can get a third and final season.